Intermedia Group Inc. stands firmly on the boundary of the most cutting edge technologies and stable office infrastructures. 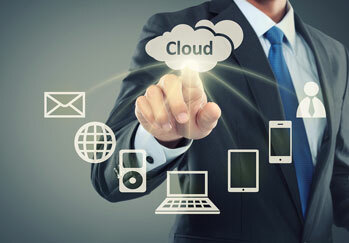 We have substantial operational knowledge of various cloud solutions to fit every need; from Microsoft Office 365® to core based custom cloud solutions we can help design and deploy the right cloud solution for your business to reduce your server’s cost of ownership. Our internally redundant, secure data centers offer our clients “worry-free” remote access from anywhere you have an internet connection to keep your infrastructure up and running 24/7/365. Our secure servers are protected by cutting-edge safeguards and we offer reliable service so your hosted solutions won’t go down when you need them the most. Click here to read more about our security certifications. Our internally redundant, secure data centers offer our clients “worry-free” remote access from anywhere you have an internet connection.